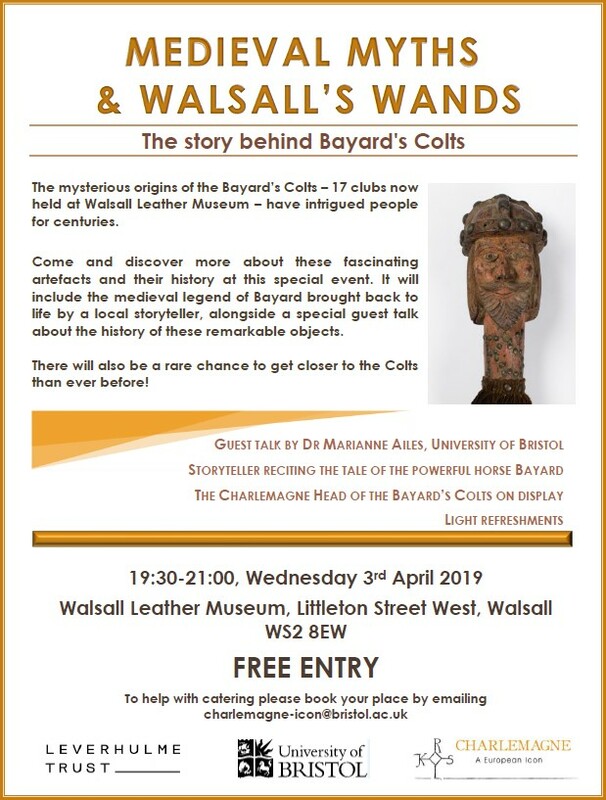 The Bayard’s colts are a set of 17 clubs held at the Walsall Leather Museum whose mysterious origins have intrigued people for centuries. On Wednesday 3rd April there will be a special free event at the Walsall Leather Museum which is open to the public. As well as seeing the Colts on display, Dr Marianne Ailes of the University of Bristol will be giving a talk about their history and a local storyteller will be retelling the Medieval legend of Bayard. Light refreshments will also be available.